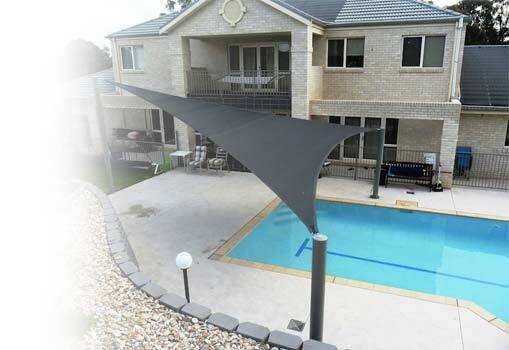 What better way to enjoy the outdoors than with some quality shade to keep the harshness of the Aussie sun at bay? At Sydney Shade Sails we understand Australian weather like no other, and we manufacture shade umbrellas that will help you withstand the heat so you can make the most of summer without breaking out a sweat. Span Shades use a modular joining system to connect steel posts and afters together. A Span Shade is a sturdy and economical way to keep large areas covered with open shade sails that not only look attractive but are built to last. Our Span Shades can span up to twenty metres to shade those larger spaces, and also come in a variety of colour options to ensure aesthetic appeal is maximised, regardless of the location. A Span Shades is an excellent option for providing shade to both private and commercial areas, whether you’re looking to cover a playground or a swimming pool. If you want to stay comfortable during the hotter months of the year, you can’t go past the cooling shade provided by a Span Shade from Sydney Shade Sails. We’ve been in the industry for a long time and we want nothing more than to bring comfort to people of Australia when the sun hits. We want you to enjoy the outdoors so you can make the most of the summer months, and we put that passion in the manufacture and installation of our shade umbrellas. Using only premium materials and exceptional workmanship, you can trust that when you’re buying from Sydney Shade Sails you’re getting a product that’s high quality and built to last. Give us a call or contact us at Sydney Shade Sails and we’ll be happy to put our years of experience to work on your next project.